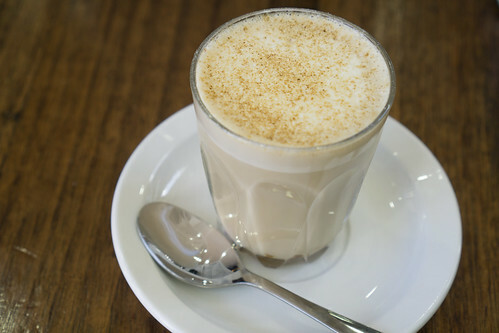 La Burgery opened its doors last year, replacing Nandos on Whitehorse Road, Box Hill close by to the Box Hill Town Hall. It offers an extensive variety of burgers, with beef, chicken, lamb, fish and vegetarian options as well as wraps and salads if you are not feeling like a burger. They also offer a few sides, like fries (obviously) and onion rings. All their ingredients are locally sourced with their bread and meats delivered daily. Their Mexicano is served with a free range beef patty, jalapenos, rocket, avocado, cheese, chunky salsa and sour cream and seasoned with habanero spice. The burger is flavourful and fresh, although the beef patty was fairly dry. The chips we ordered were also a bit disappointing. Not crispy enough and lacking seasoning. A herb seasoning would be great on these fries. 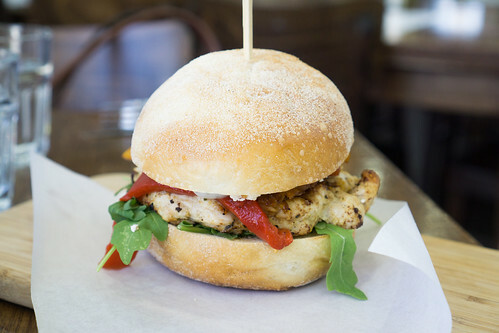 The Antipasto Bellissimo burger is served with chicken breast, red capsicum, roasted pumpkin, feta cheese, semi-dried tomatoes, basil pesto, rocket and herb aioli. The chicken was more moist, and the basil pesto flavours comes through well. Although, both burger buns were harder than expected. 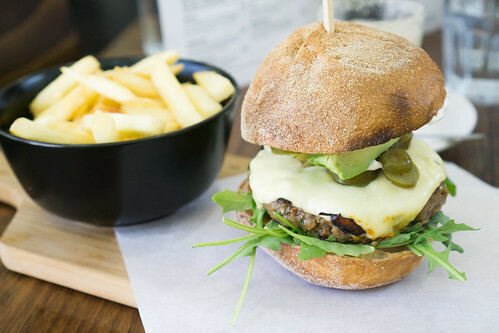 There aren’t too many places to grab a burger in Box Hill, apart from fast food joints so La Burger fits nicely into the Box Hill food scene. The burgers weren’t amazing by any means, but they were slightly above average which sometimes, is good enough.